In fact, Lakoff predicted a year ago that Trump would win with 47% of the vote. (The actual total was 46%.) Lakoff even told Hillary Clinton’s campaign and PAC staffers how to counteract Trump’s message. But they couldn’t hear him. As far back as 2006, Lakoff saw the writing on the wall. “A dark cloud of authoritarianism looms over the nation,” he wrote in his book Thinking Points, A Progressive’s Handbook. “Radical conservatives have taken over the reins of government and have been controlling the terms of the political debate for many years.” The progressives couldn’t hear him, either. Lakoff’s message is simple, but it is couched in the language of cognitive linguistics and neuroscience. The problem is that political candidates rely on pollsters and PR people, not linguists or neuroscientists. So when Lakoff repeatedly says that “voters don’t vote their self-interest, they vote their values,” progressive politicians continually ignore him. His ideas don’t fit in with their worldview, so they can’t hear him. But a worldview is exactly what Lakoff is talking about. “Ideas don’t float in the air, they live in your neuro-circuitry,” Lakoff said. Each time ideas in our neural circuits are activated, they get stronger. And over time, complexes of neural circuits create a frame through which we view the world. “The problem is, that frame is unconscious,” Lakoff said. “You aren’t aware of it because you don’t have access to your neural circuits.” So what happens when you hear facts that don’t fit in your worldview is that you can’t process them: you might ignore them, or reject or attack them, or literally not hear them. This theory explains why even college-educated Trump voters could ignore so many facts about their candidate. And it also explains why progressives have been ignoring Lakoff’s findings for more than two decades. Progressives are still living in the world of Descartes and the Enlightenment, Lakoff said, a neat world governed by the rules of logic. Descartes said, “I think therefore I am,” but Lakoff claims that we are embodied beings and that 98 percent of thought is unconscious. Our thoughts are chemical in nature, and occur within the confines of a physical body: we are not 100 percent rational beings. So if you are going to craft a message that can reach people who disagree with you, you have to understand their subconscious worldview. Lakoff calls this worldview a “frame,” and claims that Republicans have done a much better job with framing over the past 30 or 40 years. Republicans understand the narrative that governs many people in this country, and they target their message directly to that worldview. Democrats, on the other hand, ignore the worldview and focus instead on rationality, facts and policies. 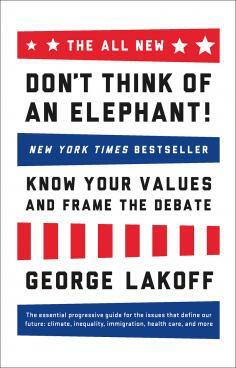 In non-academic circles, Lakoff is best known for his slim book Don’t Think of an Elephant. The book, recently reprinted, was a New York Times best-seller when it first came out in 2004, after the “disaster” of the George W. Bush election. Don’t Think of an Elephant was mostly a compilation of essays, and the main point was that trying to use Republican’s language and theories against them is counter-productive. Lakoff’s core finding revolves around the metaphor of family. He claims there are two core beliefs about the role of families in society, and the belief one holds determines whether one is conservative or liberal. Moderates are people in the middle who are able to hold some ideas from both sides, and being able to understand and persuade them is crucial to winning any election. Conservatives believe in a what Lakoff calls the “strict father family,” while progressives believe in a “nurturant parent family.” In the strict father family, father knows best and he has the moral authority. The children and spouse have to defer to him, and when they disobey, he has the right to punish them so they will learn to do the right thing. “The basic idea is that authority is justified by morality, and that, in a well-ordered world, there should be a moral hierarchy in which those who have traditionally dominated should dominate,” Lakoff said. “The hierarchy is God above man; man above nature; the rich above the poor; employers above employees; adults above children; Western culture above other cultures; our country above other countries. The hierarchy also extends to men above women, whites above nonwhites, Christians above non-Christians, straights above gays.” Since this is seen as a “natural” order, it is not to be questioned. Trump and those crafting the Republican message play straight into this strict father worldview, which is accepted in many parts of the country. Even traditionally Democratic groups such as union members and Hispanics include members who are strict fathers at home or in their private life, Lakoff says. The Republican message plays well with them. The nurturant parent family, on the other hand, believes that children are born good and can be made better. Both parents are responsible for raising children, and their role is to nurture their children and raise them to nurture others. Empathy and responsibility toward your child also extend to empathy and responsibility toward those who are less powerful, or suffering from pollution or disease, or are marginalized in some way. Lakoff has teamed with Gil Duran, former press secretary to Jerry Brown and Sen. Dianne Feinstein, to create a two-person communications company called Frame Lab that will help nonprofits with their framing issues. He is also creating a Citizens’ Communication Network, which will offer free information on framing issues for activists. Lakoff is trying to raise money for this nonprofit, but in the meantime, he will share ideas and resources on his Twitter feed, blog and Facebook. “We will do analyses of what works, what doesn’t work, and what they need to look out for,” Lakoff said. 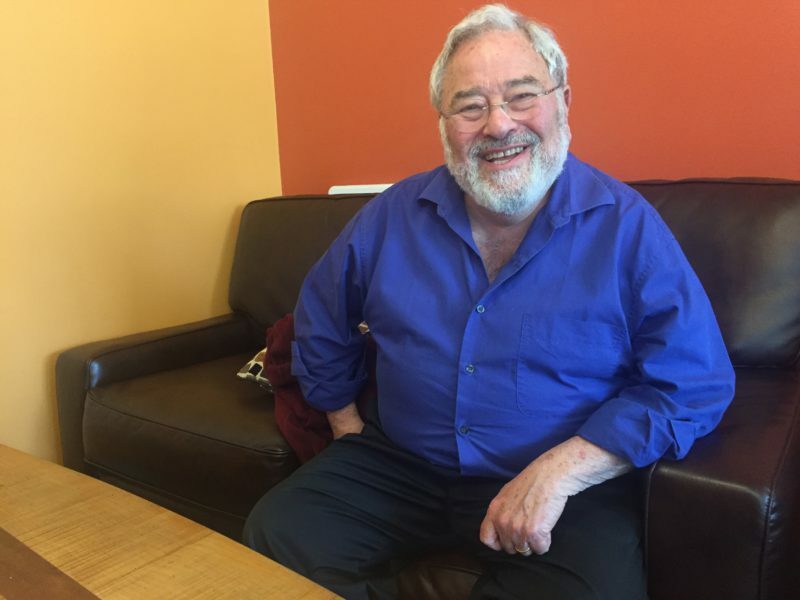 The unassuming Lakoff is an accidental radical, the rare academic who has stepped outside the confines of his discipline and attempted to scale the battlements of real-world electoral politics. When asked whether he was depressed that his message is still not being heard in the political world, he said, “it’s frustrating, and I can be outraged, but I don’t get depressed. Every day I do something worthwhile and positive.” It’s all about the framing.